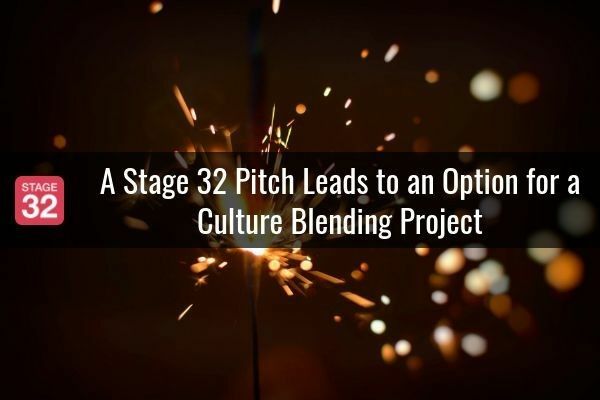 You know all those things that filmmakers, screenwriters, and actors bemoan about here on Stage 32? Can’t raise the finances to make a movie. 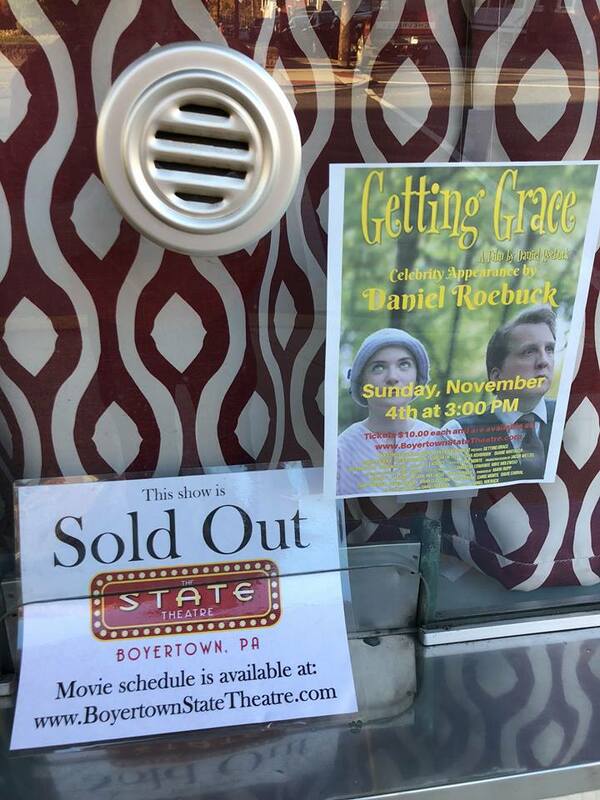 'Getting Grace', a film starting Daniel Roebuck, on a film scroll in a movie theater. Well, I know a guy who would disagree with you and is proving anything is possible. And not just any guy, but the man who played the second lead of Cliff Lewis on Matlock, Dr. Leslie Arzt on LOST, movies like The Fugitive, and in six of my own productions. 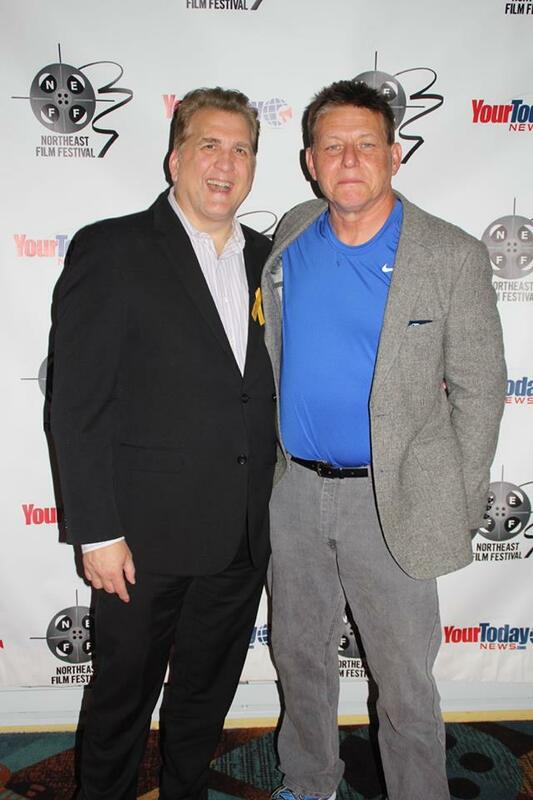 Yes, I’m talking about Daniel Roebuck, my good friend who has an extremely recognizable face with some real juice in Hollywood. However, he's also a man who is strong in his Catholic faith and very approachable. Many actors in Hollywood often are. 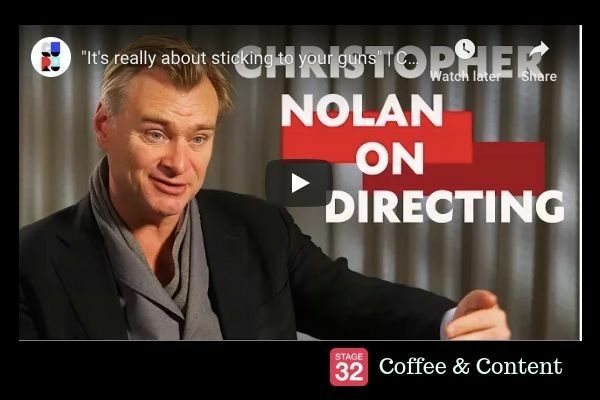 That’s why you take your shots with actors, producers, directors, and film financiers where you can. Jeff Lewis took that shot about eight years ago when he got a script called Bending Spoons to producer Mark Rupp, who, unbeknownst to Jeff, got it to Roebuck. 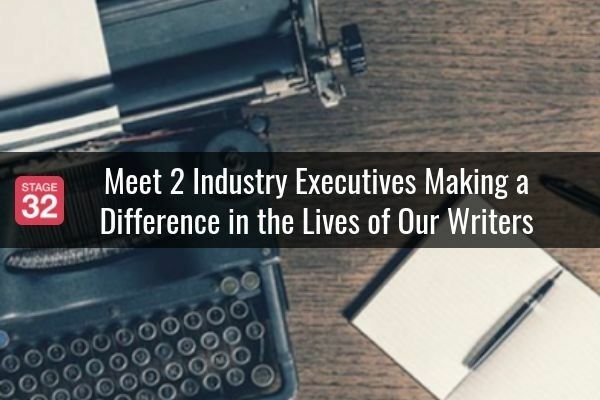 Screenwriters pay attention, because Danny has experience and a recognizable face, he has connections in Hollywood, just like any other experienced producer or movie star would. Danny liked Jeff’s script, especially the spirit of the comedy about a girl who was dying of cancer and was wondering what would happen next. However, he felt there were some changes needed. Despite this, he was already in love with the lead character, Grace. She reminded Danny of his young daughter who, in addition to having the same name, was also bubbly, kooky, and mischievous, just like the girl in the script. They also added some deeper meaning and changed the name of the script to Getting Grace. Danny and Jeff Lewis at the 2017 Northeast Film Festival. The thing that I want young screenwriters to understand is that Danny got Jeff’s script made. Yes, it took about eight years, but he did it, which proves that part of this process is who you know. 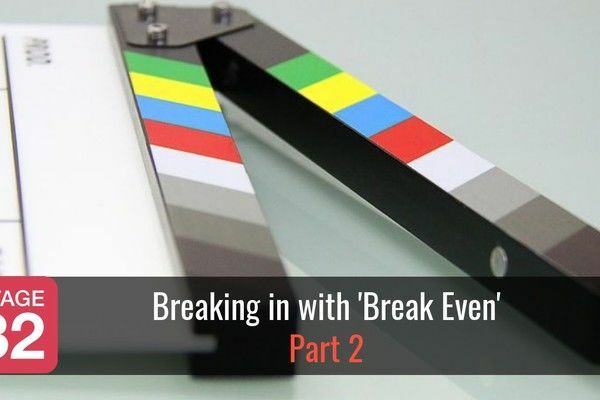 He brought on board his brother-in-law, Cory Geryak, who worked in the camera department on big-budget studio movies, but was also a cinematographer on many features and shorts. To say he was experienced and talented is an understatement. They headed to Danny’s hometown of Bethlehem, deep in the Lehigh Valley, to shoot a teaser. They had beautiful drone footage of the Lehigh Valley and Danny, who played the role of Bill. Danny also attached some key supporting actors, not the least of which is our mutual buddy Duane Whitaker. You will no doubt remember Duane from his role as Maynard, the infamous pawn-shop owner in Pulp Fiction, where he played opposite some other great actors like Bruce Willis, Ving Rhames, and Peter Greene. However, Getting Grace was a chance for Duane to play a much different character. The character is Reverend Osburn, a man, who despite his strong Christian faith, is interested in all types of spirituality. Danny added other veterans of the big and little screen with actors like Marsha Dietlein and Dana Ashbrook, one of the regulars on Twin Peaks. He even got a humorous cameo from Richard Pryor Jr., as well as other recognizable faces and character actors. 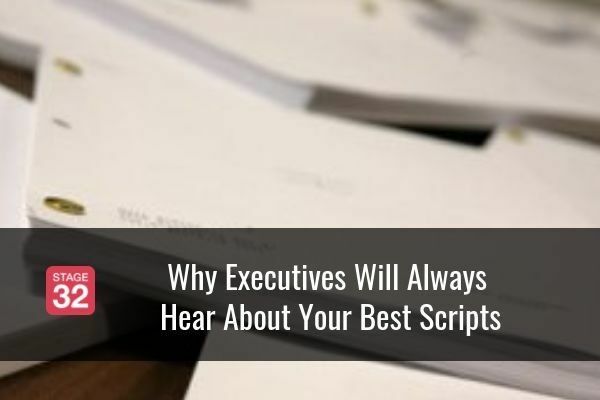 I mention all of the above because I have seen countless posts here from filmmakers who make features and don’t even attempt to get names or Hollywood character actors. And then they complain when Hollywood doesn’t want their movie or they can’t get investors. 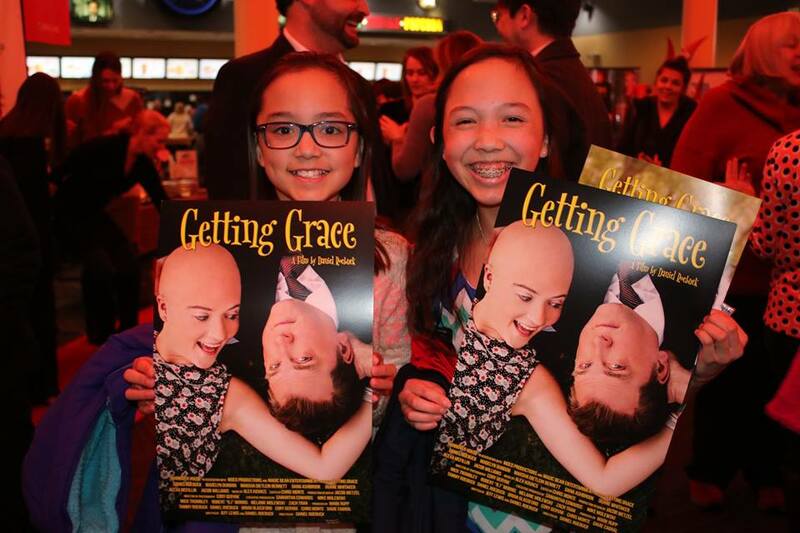 Danny and Madelyn Dundon at one of the theaters playing Getting Grace. Speaking of investors, Danny did have traditional investors, some of whom he had been speaking to for years. However, after a chance meeting with a Bethlehem resident on an airplane (MOED Media), a local company was brought on board. He combined them with an aggressive crowdfunding campaign that involved his family and friends back in the Lehigh Valley. To say he got invaluable support from the area would be yet another understatement. You see, filmmakers, even if you’re not as famous and recognizable as Danny, chances are you still have a hometown, friends and family, and locals who would like to help. And for those who often post that they don’t live in Hollywood or New York, Danny made this movie in the Lehigh Valley of Pennsylvania. And make no mistake, the Valley became a character in the film, much like the ship in Titanic. Now, for all of the aspiring actors looking for a break, pay attention: Against the advice of many in the Hollywood community, Danny agreed to cast the lead role of Grace from the Lehigh Valley. 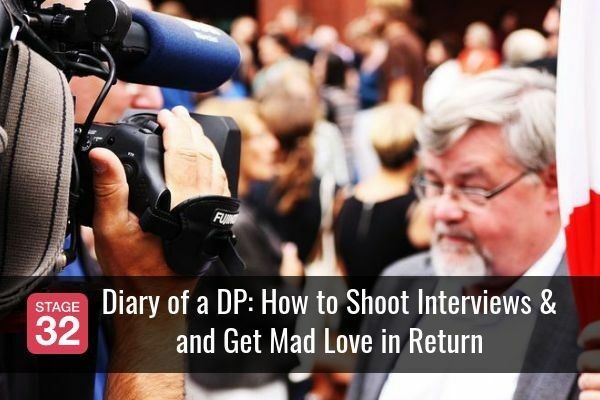 He saw scores of actresses before Madelyn Dundon walked through the door and he knew he had found his Grace. He also cast several other crucial roles such as Doug, Grace’s young love interest (Jacob Williams), and Audrey, Grace’s friend with advanced stages of cancer (Alexa McFillin) from the Valley. There were others, still. Throughout filming, the community truly got behind this movie. Danny promoted like P.T. Barnum, something a lot of filmmakers here could take a lesson from. He went on PBS local radio. There were countless newspaper articles. The movie has a Facebook page with regular updates. There was an IMDb page created early on. Getting Grace has own website. To say that the Getting Grace updates were never ending would be the third such understatement. By the time he showed me the film in his living room in beautiful downtown Burbank, I felt like I had shared the ride. After the movie, I was moved. The flashback segment that gave Bill’s much-needed backstory featured Danny’s young son, Buster, who looked like a young Dan Roebuck! His real-life daughter, Grace, worked on the crew. He licensed some amazing music through another contact of his. Some of the music included huge hits like Dr. Hook’s When You’re in Love with a Beautiful Woman and Supertramp’s The Logical Song. You see, indie filmmakers, it pays to have contacts, instead of just making a movie and writing, directing, and producing it yourself with not a single recognizable actor. Continuing the pattern of using what you have, Danny also found a local 16-year-old girl, Alyssa Garcia, who recorded two songs, including Better Life, which is featured in the trailer. 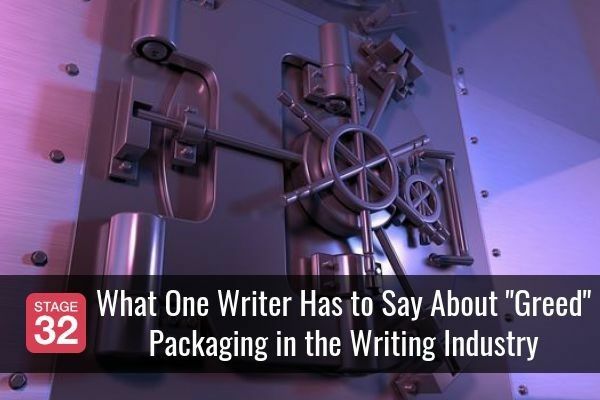 To say that all the music helped with distribution would be, you guessed it … a huge understatement. Not to mention his wife Tammy Roebuck (truly his better half) was a producer on the film and helped edit the movie and trailer. She also helped design the press kits, movie poster, and more. One thing I want to make clear here is that Danny truly put together a team. This is yet another area where independent filmmakers fall short. 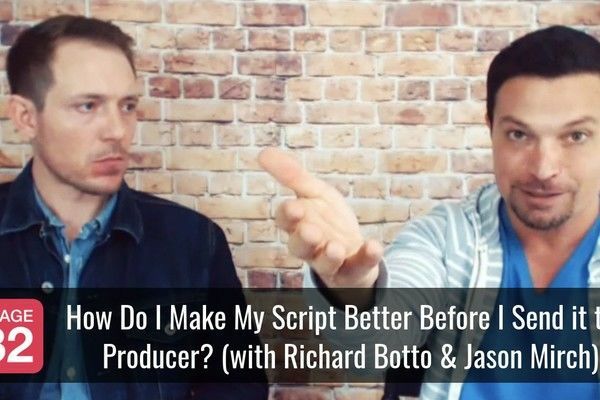 Putting a film together is a collaborative medium, and if you intend to do it all yourself, you will make things much more difficult. I’ve heard may rail out against the film festival route here on Stage 32, yet Danny embraced it. 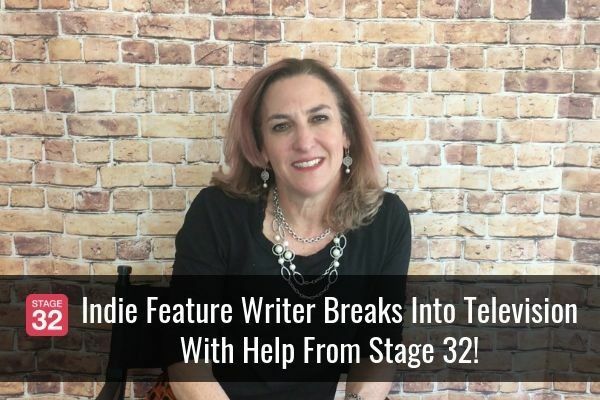 At my advice, he reached out to Larry Rosen, the head of the burgeoning Northeast Film Festival, then in its fifth year, and agreed to submit. He was chosen as the opening night film and made his World Premiere in front of two sold out crowds, with starting times 20 minutes apart for introductions and Q&As – at the gorgeous Teaneck Multiplex Cinemas. They packed almost 500 people into the theaters that night, even busing people down from Bethlehem, which was 90 minutes away. Danny put together a whole package for the people who took the bus trip. He truly made it an event and built up a tremendous buzz about the film in the process. He sold out no fewer than three of those festivals as several distributors took notice of Danny’s aggressive approach. Within months of the screening in Teaneck at NEFF, Danny obtained full North American distribution from Hannover House, which included theatrical and DVD. In advance of the theatrical release, Danny, Tammy, and Dundon embarked on an ambitious 14-city Sneak Peek tour across the country where they played to many sold out crowds. 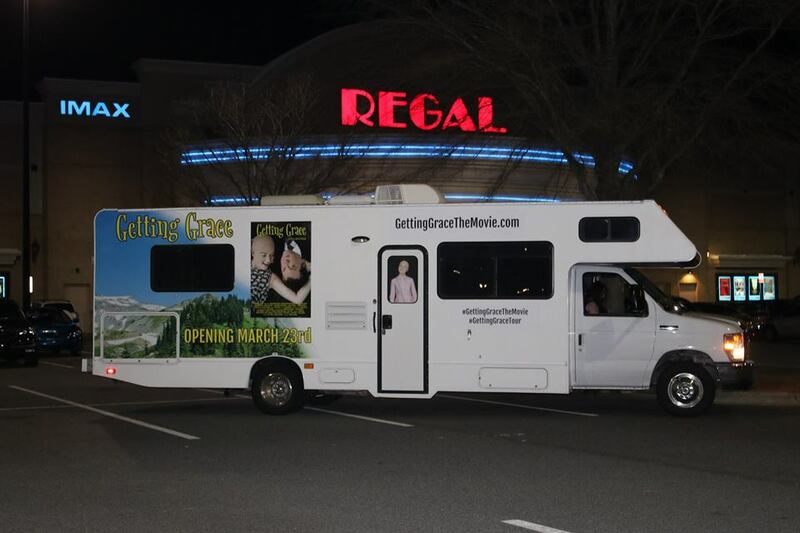 The 'Getting Grace' Bus parked outside one of the theaters. Through this sneak peek tour, they created more buzz for the film, got countless positive reviews, and Danny got out there with the people, much like a politician. I say that in a positive aspect. He alerted the entire country to this movie. 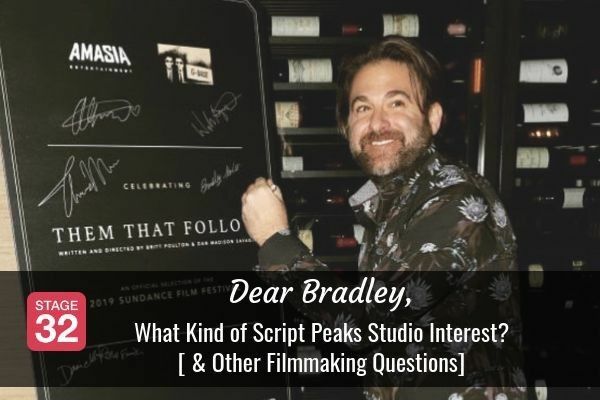 Along the way, they created a Getting Grace online store on their website and brought the merchandise with them on the tour to squeeze every drop out of the film they could – something a lot of other indie filmmakers could also learn from. They sold posters, soundtracks, old-fashioned movie programs, tee shirts and mini-posters, all of which they could autograph. And, yes, they sold! Two fans display their Getting Grace souvenirs. By the time the movie opened nationwide on Friday, March 23rd, there was much anticipation. They already had a positive score on Rotten Tomatoes, who reviewed the movie in advance of its release and Danny continued his relentless promotion, even going on the Greg Gutfeld Show on FOX News. Tammy went on ABC local news in her hometown of Tampa, one of the cities the film was playing at the time. She was on hand in her local cinema for a week to greet fans and friends. 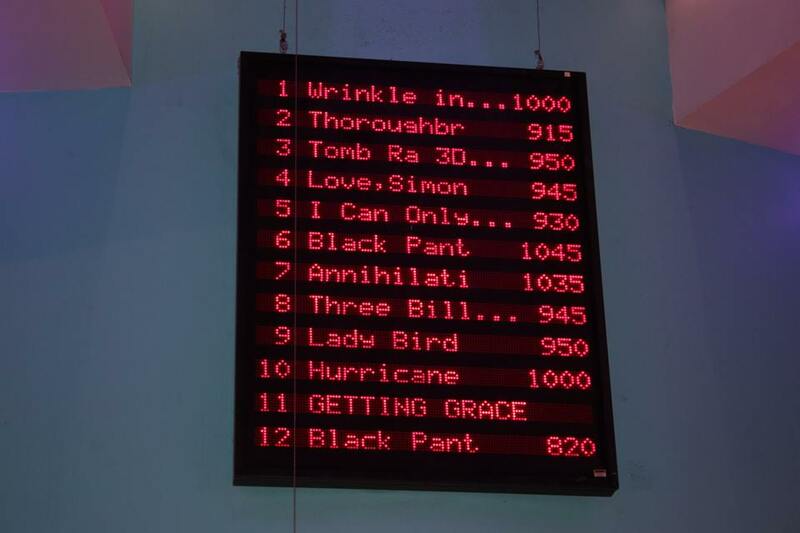 Moreover, USA Today took notice and included Getting Grace in its Movies to See Easter Weekend Guide. On Election Day, the DVD was unveiled in an exclusive deal at Walmart, both in stores and from their website, while also streaming on Amazon.com and i-Tunes. It’s now also available on Video on Demand through many cable systems and on Best Buy online. 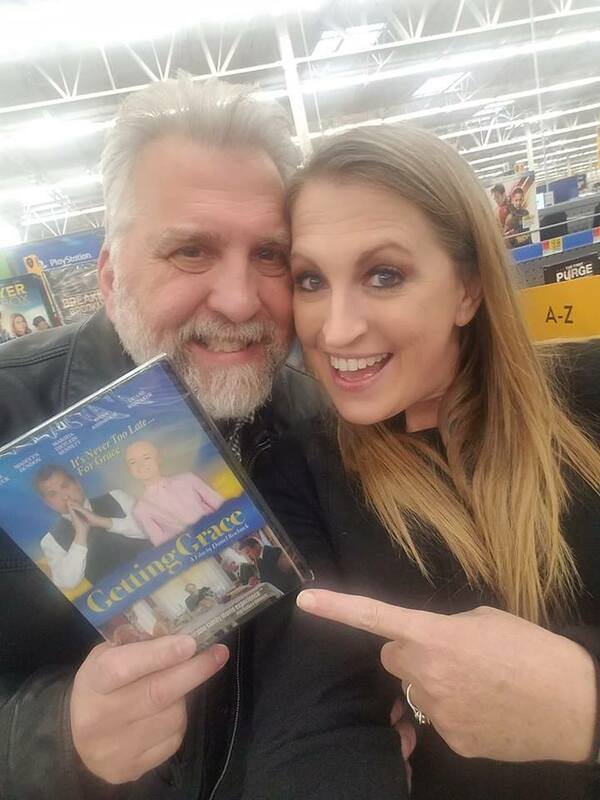 Daniel and Tammy Roebuck find their movie at Walmart. 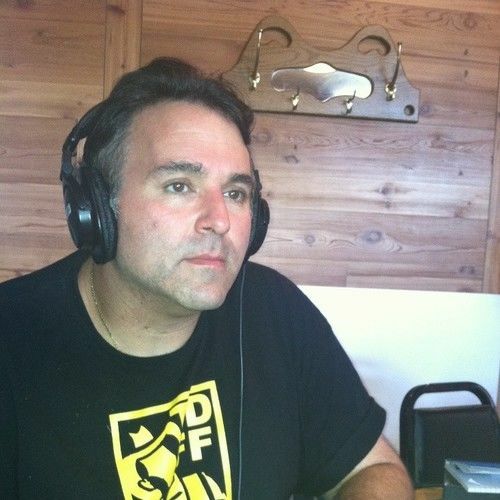 So, for all the negative comments that you can’t do it, that festivals don’t matter unless they’re Sundance, and that you shouldn’t pursue names in your movies and you can’t get distribution anyway, tell that to my friend Daniel Roebuck. And, now, with his second feature in pre-production, The Hail Mary, about a down-and-out football coach, which he will shoot once again in the Lehigh Valley, he’s still proving that anything is possible. Sam Borowski is a New York-based director, writer, producer and the creator of the twice-monthly "So, You Want To Be An Actor," Workshop. Over the summer, he produced In This Moment, a short film that he hopes to also qualify for the 2020 Academy Awards. In late December, he is directing another short that he wrote, Gabriella starring Joe Gannascoli of The Sopranos, Devany DiMattia and John Calvanico. Like Roebuck, Sam's resume of film festival achievements reads like a veritable who's who of festivals on the circuit. He can be followed on Twitter at @Sam_Borowski or reached via email at cinematicheroes@aol.com. And, of course, you can find him right here at Stage 32!